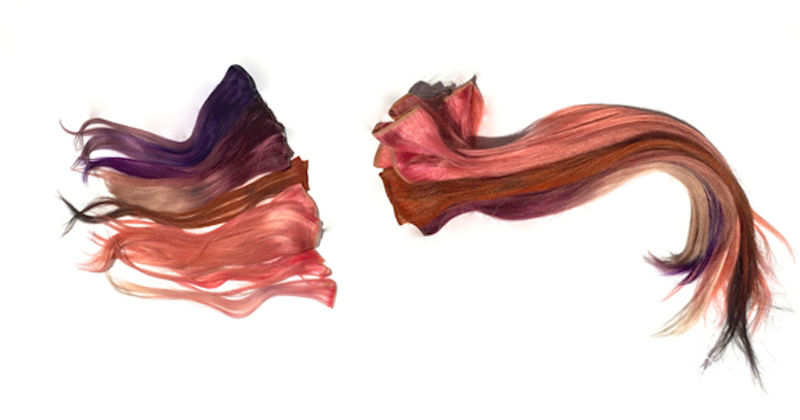 I started with two packets of light blonde hair on a 9 level with a warm reflect. I like to create pastel tones on more of a level 10 so I used wella blonder with 6% peroxide to break the coating and remove some gold and lift the hair a shade. Pink – I wanted it to clash slightly with the flower backdrop. I used WELLA relight -06 with 1.9% to create a smokey base then rinsed and mixed a few grams of 55-65 with 0-00 in colour touch and visually watched it to desired tone. 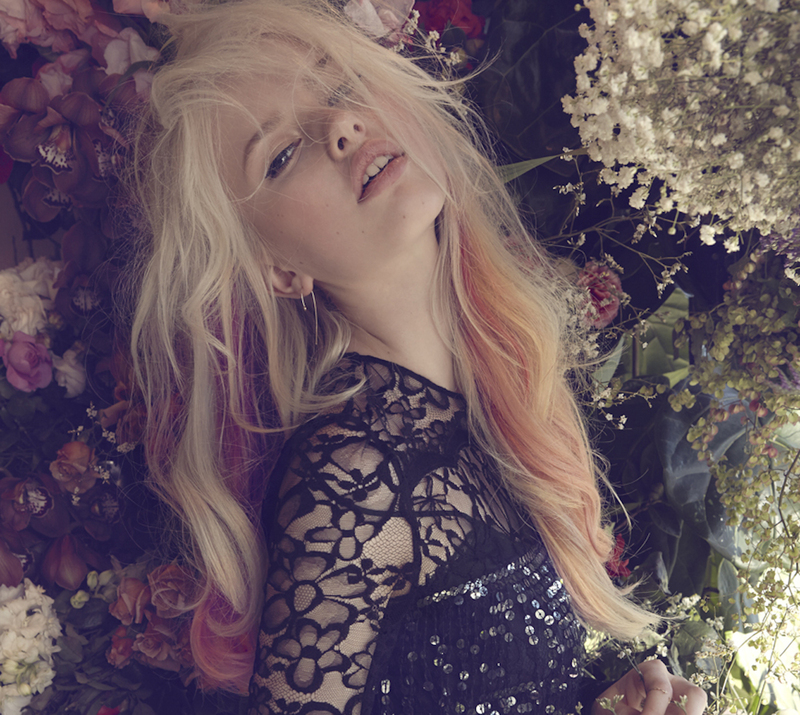 Peach – I love creating peach tones so much freedom bringing out the pink or gold reflect. I used colour fresh 10-36 with dash of 7-43. Then rinsed and used 10-0 and 0-65 colour touch until it had a softness to it. I hate when it can look too glowy. 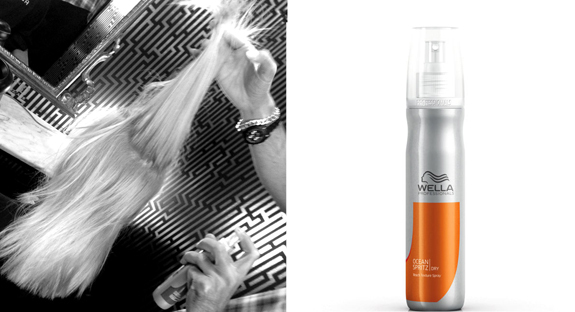 Prep the hair with Wella Hydrate Finish as this softens the hair and makes it feel soft mainly on the ends. Add Wella Ocean Spritz Beach Texture Spray only a bit to the crown and only on the roots then about 2 to 3 spritz on the ends for texture. 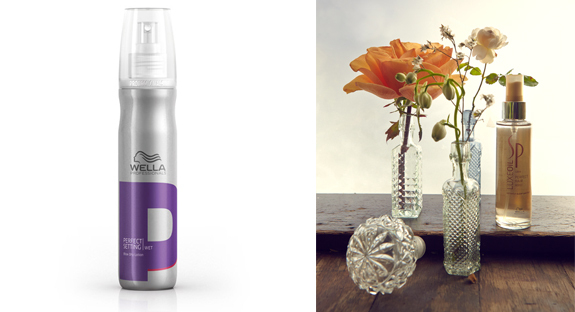 Wella Perfect Setting Blow Dry Lotion all through the hair but don’t go crazy. 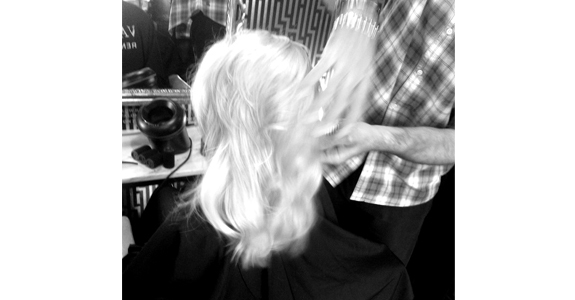 Then add some Luxe Oil to the ends. This is now perfect product for the texture I want. 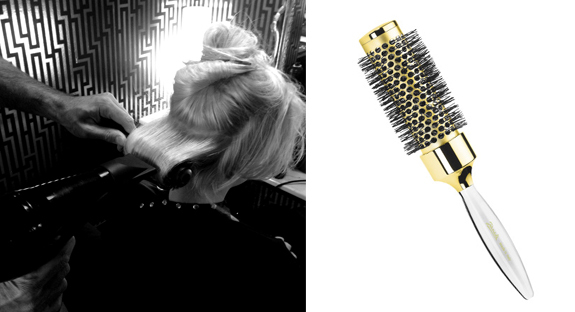 Blow dry the hair starting from the back with a large round brush I like to use our new Janeke Golden Finish Large Hot Tube Hairbrush. Then clip up each section make sure sections are big. Do this all the way to the top of head. Just went all back no partings, add hair spray to each section as you go I used Sebastian Re-Shaper Hairspray. When all clipped up use It’s and lots of hairspray all over the hair. 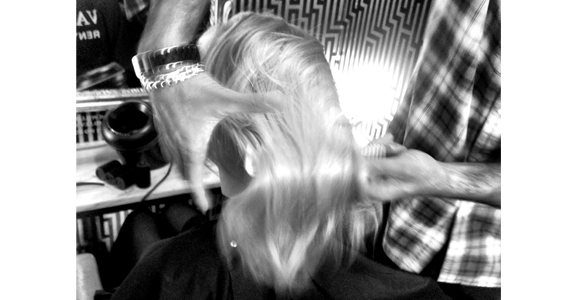 Let the hair set until hair goes cold. Pull out clips then rake hair with your fingers. 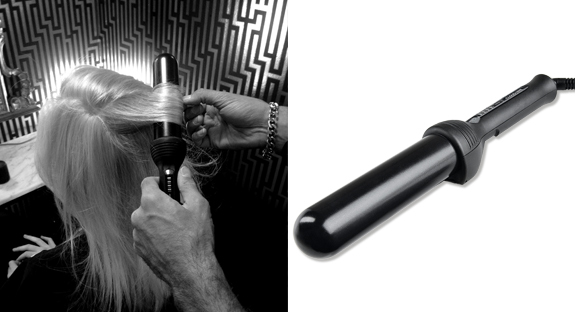 Use a brush to brush out but to also tease it slightly as u brush as this will make it a bit thick fatter. 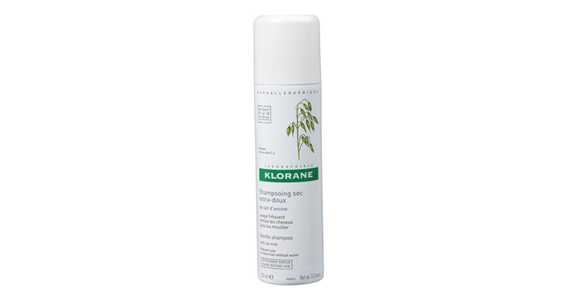 Now put to either side you like and add some Klorane Dry Shampoo. Texture should now feel fluffy and light.